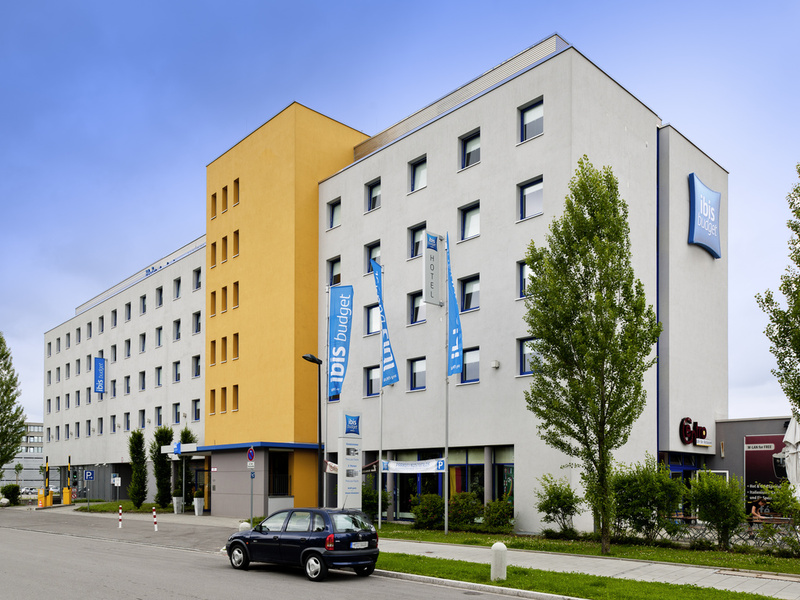 The ibis budget München Ost Messe hotel, located close to the exhibition center, is just 15 minutes from the city center and easily accessible via the A94 highway. The hotel boasts 147 Cocoon Rooms, renovated in 2016, each with space for up to 2 adults and 1 child under 12 years of age. We offer free WIFI and our buffet breakfast will get your day off to a great start. The hotel has an undercover car park offering free parking (except during fairs and events). The ibis budget München Ost Messe has 147 Cocoon Rooms, renovated in 2016, each featuring Sweet Bed by ibis budget double beds. Children up to 12 years of age can sleep in the bunk bed. With shower/WC, desk, satellite TV and free WIFI. Mycket prisvärt. Ett av de bästa Ibis Budget hotell jag bott på. Rent och fräscht, inget krångel. Bra med dygnetrunt-incheckning. Rena, fräscha rum. Dock oacceptabelt hårda sängar.